My interview with Rabbi Michael Shudrich originally appeared in the March 23rd print issue of The Jewish Press and on their online edition. It is posted here with permission. Although several weeks have passed, indignation over Poland’s “Holocaust Law” still pervades the Jewish community. The law outlaws blaming Poland for crimes committed during the Holocaust, but it has been seen by many as an attempt to deny the Holocaust itself. In reaction, some have suggested boycotting Poland, including ending student trips to the country. 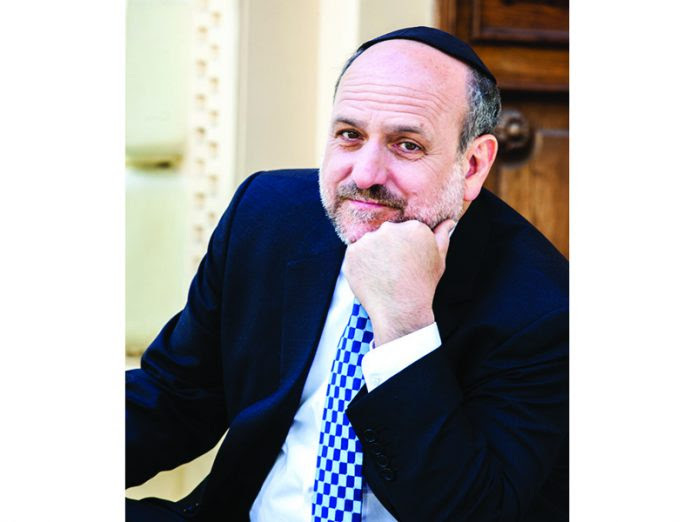 Rabbi Michael Schudrich, chief rabbi of Poland, sees matters in a very different light, arguing that much of the criticism of the new law is misplaced. He recently shared his perspective with The Jewish Press. The Jewish Press: Before we address the new law, please provide a brief primer on the modern Jewish community of Poland? Rabbi Schudrich: What’s important to know is that before the war there were 3.5 million Jews, who were murdered by the Germans and their accomplices. That still leaves 10 percent – 350,000 Polish Jews – survived the war. Most of the Jews left, but not all. Those that remained basically stayed in Communist Poland without being Jewish. Many did not even tell their children and grandchildren that they were Jewish. It remained a deep dark secret from 1939 to 1989. In 1989, communism fell, at which point the not-so-young survivors were confronted with the question: Do I feel safe enough today to tell my children and grandchildren that I am really Jewish? Since 1989, thousands and thousands – perhaps even tens of thousands – of Poles have discovered their Jewish roots. That is the story of Polish Jewry today. What’s your take on Poland’s new “Holocaust Law”? The law was not written with the Holocaust as its main concern. It is designed to protect the good name of Poland from false accusations. There really is a fundamental misunderstanding of what the law is about. To say “Polish death camps” is not true, and it is very painful for Poles to hear it. Now, the way they constructed the law, one could imagine that it speaks about Polish collaborators. But this law is not about the Holocaust directly; it’s about protecting the good name of Poland. There is a growing number on the right that doesn’t like to talk about the bad things Poles did in the past. But it’s not about distorting the history of the Holocaust. It’s not anti-Semitic; it’s pro-Polish. In other words, it’s not that they don’t want to talk about the fact their grandfathers or uncles collaborated with the Germans because they don’t like Jews. Rather, they don’t want to talk about their grandfathers and uncles [having done something] bad. Now, the problem is that the way they wrote this very poorly-written law may make it seem like I can be prosecuted if I say a Pole killed a Jew during the war. But fundamentally, this law is not about the tragedy of what happened to the Jews. It’s about hiding what the Poles did. But isn’t hiding this history a distortion of history? Yes, but on the other side, to say that all Poles are anti-Semites is also a distortion of history. When survivors say the Poles were worse than the Germans, that’s because the Germans could not tell a Jew from a non-Jew in Poland, and therefore Polish collaborators became very important because they could point out the Jews. The Jews were more threatened by their Polish neighbor than by the Germans who wouldn’t recognize them. But people misunderstand today. They think the Polish government worked with the Germans. That is simply not true. Germans thought of the Holocaust, planned the Holocaust, and did the Holocaust with the help of collaborators in every country. But without the Germans, there would have been no Holocaust. So there is a battle against stereotypes on both sides. Now I, personally, as a Jew, am far more offended by the false stereotypes that Poles say about Jews than I am by the false stereotypes Jews say about Poles. What I hear from the Polish side is more difficult than what I hear from the Jewish side. But that anti-Semitic things are said in Poland doesn’t mean we are permitted to say anti-Polish lies. What does the average Pole on the street think of this law? Poland was not really free until 1989. It was occupied by the Soviet Union. Poland has only been able to deal with its past since 1989, and this is coming up now because some Poles feel their name is being besmirched. Unfortunately, the way they reacted leaves them worse off than they were before, which is a great irony. They are a certain segment of the population that likes the law very much. And there is a whole other bunch of people that really don’t get why it is necessary. I believe that certainly more than half the country is against the law. Has Poland seen a rise in anti-Semitism since this controversy erupted? For me the concern is not rising anti-Semitism, but that we have heard – because of this controversy – anti-Semitic statements that we have not heard in 25 years. That is the issue. You have been quoted as saying that Jews should respond to this law by “looking for new ways to connect with the [Polish] Jewish community.” How should they go about doing that? When people say, “Stop going to Poland,” who is that going to hurt? The Poles would actually be relieved not to have to confront Jewish visitors. And the truth is that right now is the most sensitive period we’ve lived through in 25 years, and all of a sudden we are left by ourselves. [The boycott] isn’t happening – people have not stopped coming to visit Poland. But the concept is very flawed. So many tens of thousands of Jews visit today. We recently had the yahrzeit of Reb Elimelech of Lizhensk. Many Jews come for many different reasons. And when you come, you should make sure to stop by a living Jewish community such as Warsaw, Krakow, Lodz, Wroclaw, and Gdansk. Bring presents, even small things like your favorite Jewish book or favorite Jewish music tape. People should write to the Polish embassies and consulates where they live and tell them they are concerned by what’s happening. Write also to your senator and congressman to keep the pressure on — about the law, but also about not allowing discussion of it to permit people to make anti-Semitic statements. You have been in contact with members of the Polish government. What is your assessment of where they stand on this law? The problem is no longer the law; the problem is the language and dialogue – or lack of dialogue – around the law. The government has to clearly state that the anti-Semitism we’ve heard is unacceptable. That has nothing to do with the law. People cannot say anti-Semitic things today and think it’s acceptable. This is something the Polish government is trying to address, but so far has not done so very successfully. They are not sure how to do it. Of all the political leaders in Poland, the president has been the most forthcoming. He visited the JCC in Krakow and said there is no place for anti-Semitism in Poland today and that Poland wants its Jews to stay, which is important for a Polish leader to say. He also spoke on the 50th anniversary of the expulsion of Jews from Poland in 1968 and asked for forgiveness. Keep in mind that he was very young back then. Where do you see the Jewish community in Poland 20 years down the road? Twenty years from now? I can’t imagine because I couldn’t begin to imagine 20 years ago what would be today.